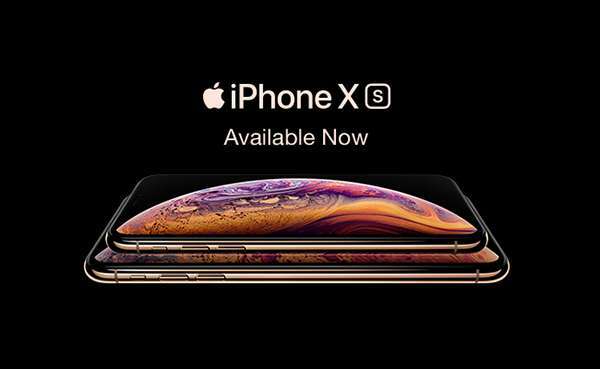 Enjoy tax-free + Exclusive savings! View Online. Products and promotions are on a while stocks last basis. 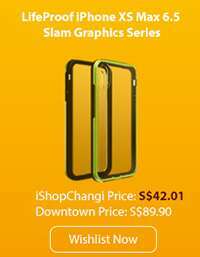 Promo codes are not applicable on products retailed by iStudio. 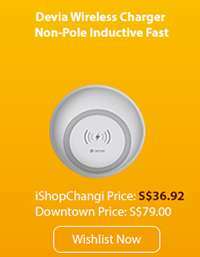 ^4X bonus points promotion ("Promotion") is open to Changi Rewards card members only. 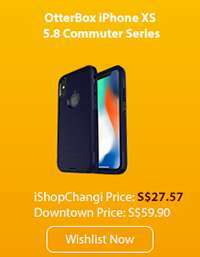 The Promotion shall last till 30 November 2018 at 23:59 (SGT) ("Promotion Period") on iShopChangi.com. 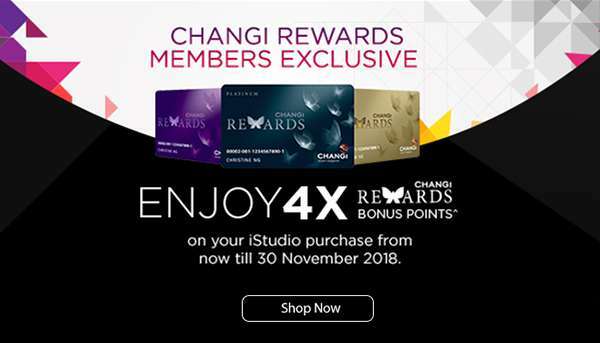 Eligible Members shall be awarded 4X bonus Changi Rewards points on top of the normal earn rate ("Bonus Points") on nett spend on products retailed by iStudio, capped at maximum of 3,500 Bonus Points. Limited to first 300 members. Points will be credited automatically two (2) months after the end of the Promotion. Changi Airport Group (Singapore) Pte Ltd ("CAG") reserves the right to terminate the promotion at any time, or to amend, vary or delete any of these terms and conditions from time to time without notice. CAG's decision on all matters relating to this promotion will be final and binding on all participants. Previous: [Castlery] New! Be Awed by Ava.